In early 1969 the incomparable fab four, the Beatles, decided to take a grittier turn with their musical talents with a plan to produce a stripped down album without all the production and sound engineering value of “Revolver”, “Sgt. 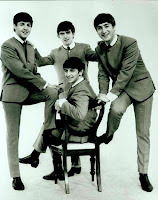 Pepper's Lonely Hearts Club Band,” “Magical Mystery Tour” and to some extent “The Bealtes aka The White Album.” The songs would not bea return to the happy pop of the early recordings of Beatlemania, but the production value would be in the more back to basics. 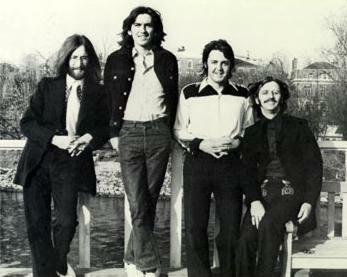 The record was tentatively to be titled “Get Back,” but due to the turn of events would not be release for over a year, and when it was release it was titled “Let it Be” The album as finally produced by Phil Specter would be a highly gussied up record with chorus and string arrangements slathered on like chrome on a 1959 Cadillac. It was not until 2003 with “Let it Be . . . Naked” that something approximating the original concept would be released. It's “Let it Be” with all the over the top production stripped. I go into such detail because it seems to me the skeptical fab three, Hayley, Marsh, and Trystan, the Indignates, appear to be in their own “naked” stage of their podcast: Righteous Indignation. The website has been stripped back to bare essentials. The individual episodes of the past four or five average a good 15 or so minutes less than in past episodes. The theme music is now only at the beginning and end of the episodes and not used during breaks. The theme music is a ukulele being wistfully played as compared to the Depeche Mode-ish sound of the previous theme. It even seems that the sound of recording is less crisp, and perhaps captured a lower bit rate? The beloved quackery quote segment is gone, and the discussion, news, possible interview, and then ending flow of the show's segments has given way to news and topical interest chat with a possible interview. It's simplified. It's striped down. It is a bit different as most podcasts over time typically seem to get more slick with higher production values and tighter editing (notable exceptions being the Quackcast and The Conspiracy Skeptic.) This is not to say the content has been dumbed down. If anything the Indignates are gaining in maturity and insight as time progresses. The discussion is still quite impressive. The wacky and sometimes giggly bits of the dialogue seem more rare, and the tone is a bit more sober than say a year ago. So the Indignates sing "I wanna hold your hand" less, but instead sing "Sweet Loretta Martin thought she was a women, but she was another man"more. It's a bit different and good. I do not know if the recent change in tone is been planned to make the show easier to produce, or if it just a natural change that occures with a seasoned outlook that experience doles out to us all. If I want to hear the old style of the show I can always break out an old episode from my iTunes list. The latest episodes are still quite good, but they are different. Who knows maybe I will be writing how Prof. Stuart Robins of “Exposing PseduoAstronomy” wry humor has morphed into a bitter and dark tone over two or three years.